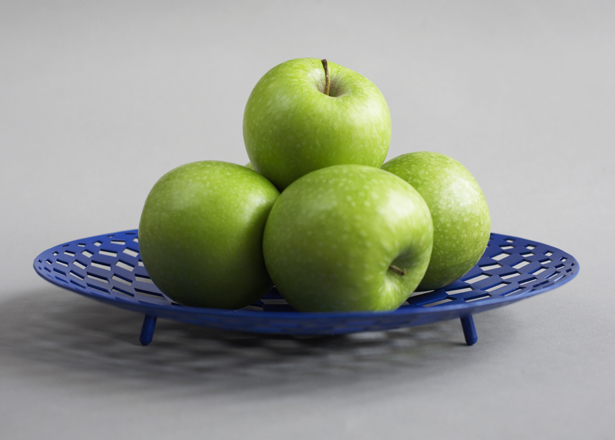 The newest member of DesignedMade's family of fruit bowls. 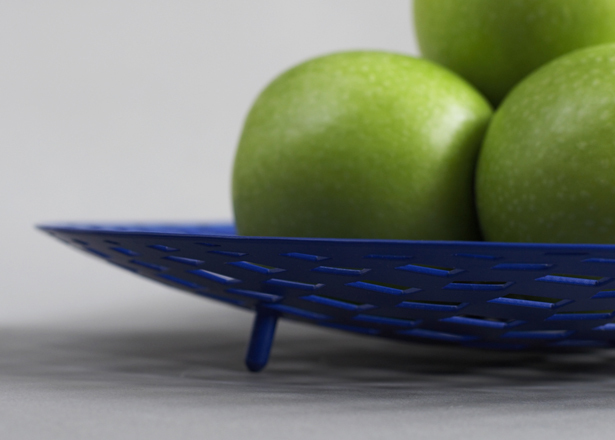 The Cubic Bowl is one of a family of shallow, powder-coated steel fruit bowls with distinctive laser cut patterns that allow air to reach the fruit. 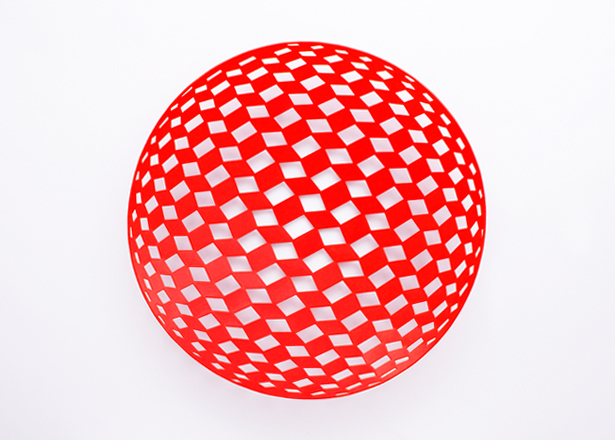 The Op-Art inspired design of this bowl creates the intriguing illusion of an undulating surface with varying depth.